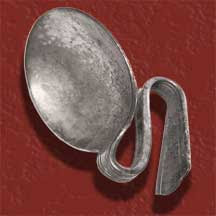 Our Weird & Wonderful World: Spoon Bending - Are you for Real? James Twymann, author of Emissary of Light, brings us a course that would make us just like Uri Gellar! The famous Spoon bending machine! I love getting my daily subscriptions to the Daily Om in my emails and in one of them one day there was James Twymann's course on Spoon Bending. Excellent! I know we each have inherent Super powers laying dormant within each one of us until the time is right where these activation centers within our DNA comes alive!! That time is now! Does it work? I'm not sure, but if I told you 20 years ago that I could tune into the Angels all around me, for sure you would tell me I'm nutty and a witch! Or that Yoga allows us to empty the mind and transcend beyond our limits in just our thoughts, our mind 20 years ago, that was just for the crazies. Now all of these are considered common practice....remember the word PRACTICE.